The other day, I wandered into Cokesbury, a Christian bookstore in our area about which I had heard lots of good things. I wanted to check out their store, but I also was looking for a specific book: Scripture and the Authority of God, by N.T. Wright. I have been in a bit of a Bible-reading drought, and I’ve chalked some of it up to lack of communal discussion of Scripture. Well, one of my favorite bloggers (whom I will feature this Tuesday) is hosting a series of discussions on Wright’s book, and so I thought I would buy it and jump in. Greg loves N.T. Wright, and I love the subject matter of this latest book, so I thought it would be a good addition to our library. However, when I finally found the book and took a look at the price tag, all my plans evaporated. And Tennessee has high sales tax. In short, there was no way I could buy this book. Even if it were not financially irresponsible at this point in our lives, I think I would have had to put it back on the shelf on principle! To wrap up this literary-themed week, I thought I would briefly discuss the cost of books. Personally, I love to read, and I always have a list a mile long of books that I’d like to have. Most of these books are Christian- or history-themed, and so I view them as edifying and, thus, worthy of my time and money. That said, books can be expensive, and I do struggle with the idea of how much of my resources should go to buying books. I wanted to share with you my top three ways to get cheap books. Even though two out of the three seem super-obvious, it took me awhile to think of them, so I thought I’d share them anyway, on the off chance that you are slow, too:). My baseline price for books is $4.74. That is how much a .75 book on half.com costs, plus the usual 3.99 shipping fee. To me, getting a book I ‘ve been wanting shipped to me for less than $5 is a good deal. What I have learned about books on half.com is that their price is not influenced by genre, or even popularity, but by age. It appears that a book needs to be at least five years old before it goes into what I call “the .75 bin.” On the plus side, you can get a lot of classics for dirt cheap. On the negative side, you can’t buy N.T. Wright’s new book for much of a discount. Or Richard Beck’s Unclean. Or Half the Church. Or several other books on my wish list. 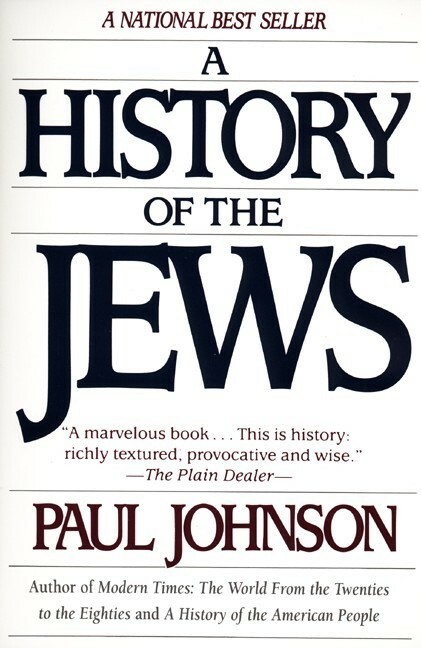 However, I was able to get a highly recommended and well-reviewed book that I’ve been wanting, A History of the Jews, for my normal .75. 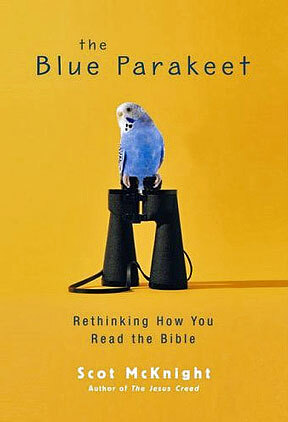 And I got another book on my wish list, The Blue Parakeet, for about $7, including shipping. It was written in 2008, and thus has not reached the magic 5 year mark. However, as I have wanted this book for months and have been unable to find it in any bookstore, I thought that was an okay price. I know, I know. Obvious, right? ‘Cept here’s the thing: I’ve been making weekly trips to the library ever since my kids were wee tots, and it just recently occurred to me that the library might be a resource for me, too! Maybe it is because the books I usually want tend to be religious or devotional in nature because I rarely think of them being available at my local library. However, I am now currently on the waiting list at my local library for an eBook version of Scripture and the Authority of God, as well as the physical version of Rachel Held Evans’ memoir, Evolving in Monkey Town. Genius! Again, it seems obvious, but I think that often, my consumer-oriented mindset causes me to overlook the free ways to enjoy books without having to own them. And really, I don’t need to own most books I want to read. In fact, it keeps my house from getting so cluttered if I can simply check out the book from the library or borrow it from a friend. Borrowing, however, can be tricky because you need to have friends who 1) like the same books as you, and 2) are comfortable enough to let you borrow them. To be honest, I haven’t gotten to the “Can I borrow that book?” level with my friends in Nashville yet; however, I did enjoy trading books back and forth with my friends in South Carolina. At any given time, I probably had a couple of borrowed books in my possession, and had a few books lent out. My friends and I were somewhat evangelical with our books: whenever we read a good one, our first thought was, “To whom can I pass this worthy message?” I think that it’s worth cultivating such a community, and I hope to do so soon in Nashville. At the very least, it will allow you to read good books without spending money that could be better used elsewhere. Okay, so those are my three brilliant, revolutionary suggestions for obtaining cheap books. Do you have any others? Kim, I used to buy books all the time, but now it’s a rare event. Only the most desired books that I can’t get any other way are bought. For me, the Library is the way to go. With inter-library loans there is such a huge supply to draw from too. Borrowing from others is one I use too, but now that my kids are older I find that they are becoming a bigger resource for books than anyone else. we broke down and bought a $79 kindle (which we now love) and we used gift cards to purchase a nook (thank you, students)…and i must say, for two avid readers that consider a date night going to bn and buying a book, purchasing ebooks is much less expensive. we can buy ebooks sometimes for half (or less) of what the actual book would cost! and you can also check out ebooks from the library. i love looking for books at thrift stores as well, especially for my classroom (just found a mint condition national geographic pop-up book of the rainforest from 1989 for .65!). and we also have a new used bookstore, mr. k’s, where you can turn in books and get store credit to purchase used books…love love love!!! here’s a link…they have a couple stores in tn! I miss the library. 😦 And friends who will lend me books. And being able to ship things directly to my door. I guess I probably should get a kindle or a nook because I find that I am currently having a hard time getting my hands on the books I want to read. (Tommy has the kindle app for his computer, but that doesn’t help me much.) I am really cheap in this department too, so I think that’s why I have been procrastinating going online and ordering books for someone to bring to me when they fly here. Any way I go about it, I will have to spend money, which I have a hard time justifying right now. Oh, and, while we’re on the subject of cheap books, does anyone have any good websites for downloading cheap (or free) AUDIO books? I looked into audible.com but I don’t know if I would use it often enough for it to be worth the monthly price. 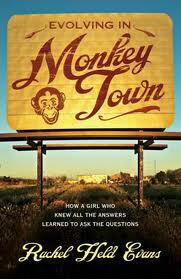 Free or cheap Kindle downloads and borrowing are my main ways to acquire books without paying retail price. You may have thought of this already, but with your LU faculty ID, you can check out books at Beaman Library for spiritual or devotional books that the Nashville libraries don’t have in circulation. Though, as you noted, Nashville public libraries have a decent collection of Christian books (+1 for the Bible belt!). Oh, and you can borrow books from me if I have them. I have a theological collection from grad school that is sadly underused.